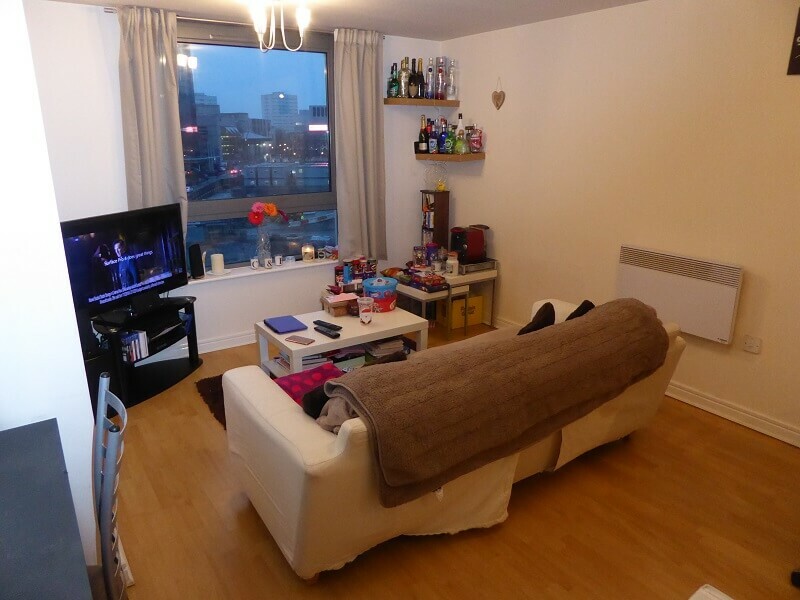 Fantastic opportunity to own a prime location City centre apartment with far reaching City views from the private balcony. Situated on the 8th floor, this contemporary One bedroom apartment would be suitable for investors or vacant possession if required for owner occupiers. Comprising hallway, open plan living/dining/kitchen area, balcony, Double bedroom with en-suite shower room, bathroom and secure parking. The development offers lift access, 24 hour concierge, resident’s gym and a business suite. Centenary Plaza is minutes from the Mailbox, a landmark mixed-use City development with easy access to restaurants, brassieres and designer shopping. 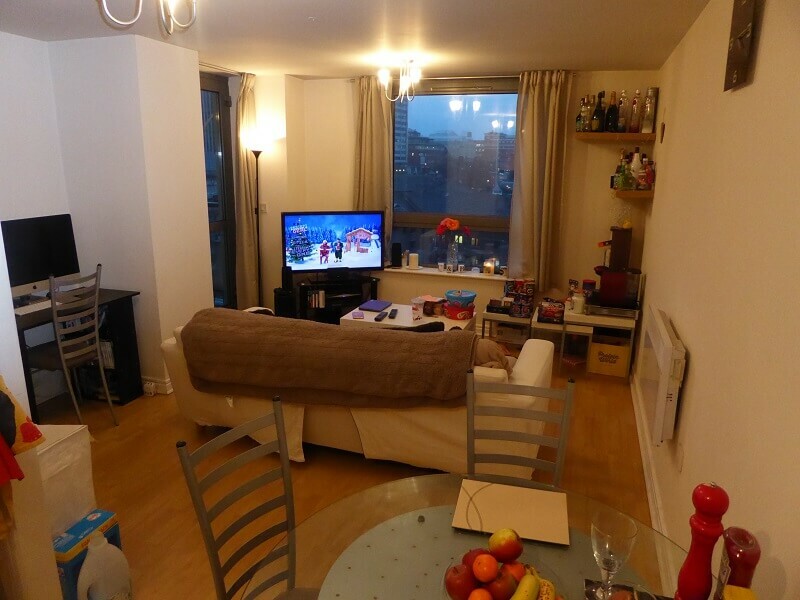 Ideally situated for access to the A38M and M6 within easy walking distance of the commercial district of the city, Snow Hill Station, New Street Station and all of the city’s retail and recreational facilities. Earliest viewings to commence Thursday 12th April 1-2pm & Friday 13th April 4-5pm please call 0121-236-5757 option 1 to register a viewing slot. Reception Hall – 7’8″ x 8’1″ (2.374m x 2.484m) Laminate wood flooring, Ceiling light fitting, multiple wall sockets, wall mounted heater, smoke detector and video entry phone. Hallway Cupboard – (1) – 4’5″ x 3’1″ (1.366m x 0.947m) Providing excellent extra storage space, fuse box. Housing hot water tank, storage space, water meter. Kitchen Area -Tiled Flooring. Range of wall & base mounted kitchen units with worktops & matching splash backs. 1 ½ bowl stainless steel sink with chrome hot & cold mixer tap. Integrated electric hob & oven. ‘Electrolux’ integrated extractor unit. Concealed ‘Indesit’ fridge & freezer. Concealed dishwasher. Concealed ‘Bosh’ Washing machine. Chrome double wall sockets. Living/Dining Area – Laminate wood flooring. 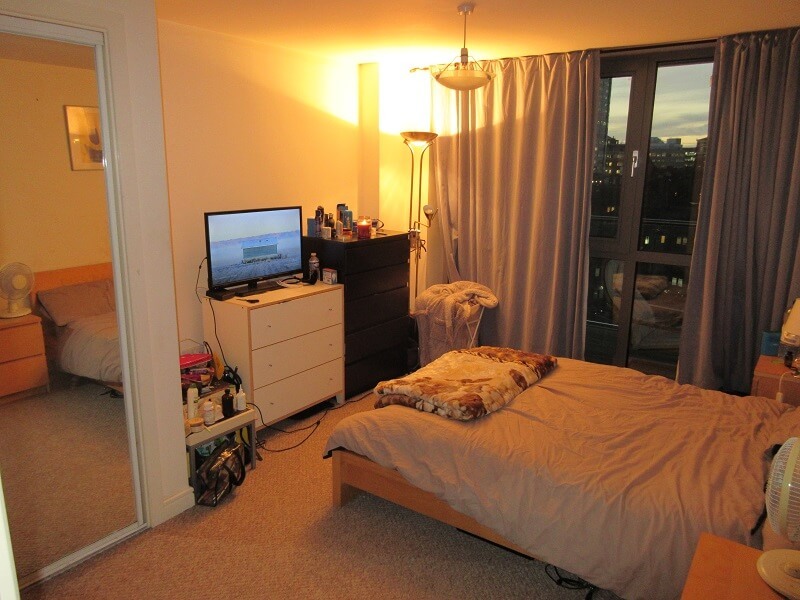 Double glazed windows & door with access to generous balcony with views overlooking Holiday Street & across the City. Wall mounted electric wall heater. TV/FM/Satellite sockets. Ceiling mounted light fittings. Dimmer switches. Multiple wall sockets. X2 ceiling light pendants. 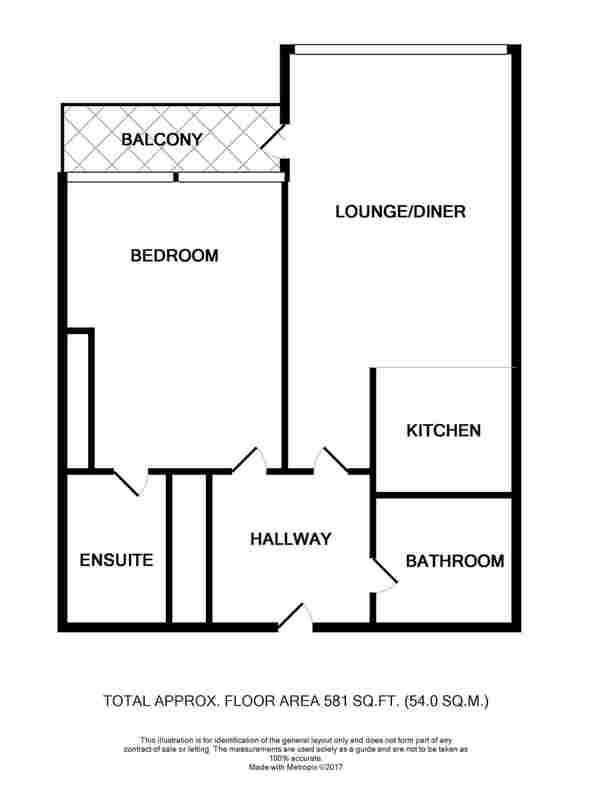 Master Bedroom – 15’4″ x 11’1″ (4.689m x 3.365m) max Carpeted. Wall mounted heater. Multiple wall sockets. Double glazed windows with views across City. Inbuilt double wardrobe with mirrored sliding doors. 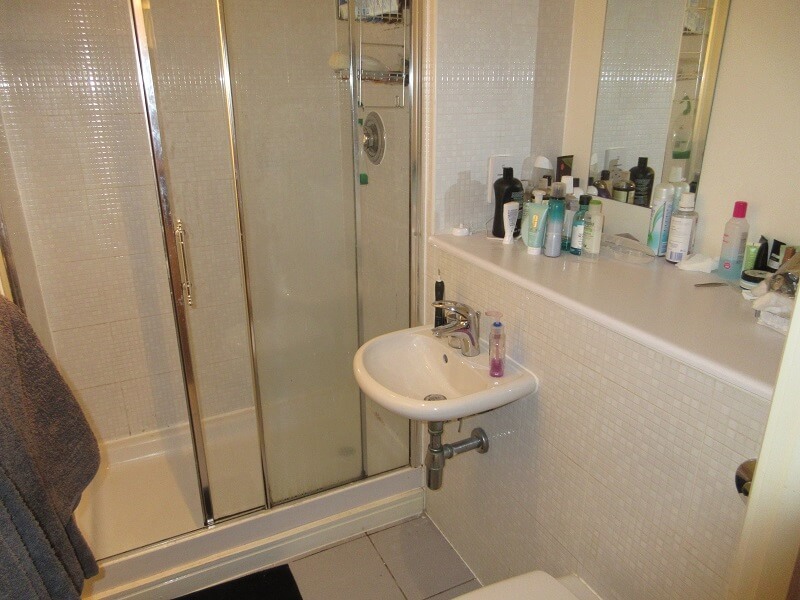 En-Suite Shower Room – 6’7″ x 5’5″ (2.044m x 1.673m) Tiled floor. Tiling surrounding basin & W.C. White wall mounted wash hand basin with chrome mixer tap. Matching concealed cistern W.C. Shaver socket. Double shower tray with glass sliding doors & chrome shower and fully tiled surrounds. Stainless steel ceiling light fitting. Heated towel rail. ‘Vortice’ extractor unit. 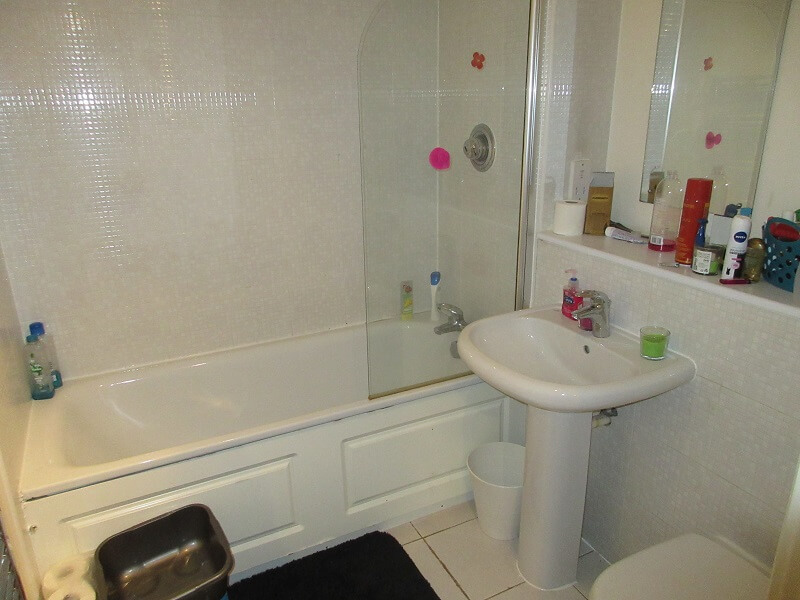 Bathroom – 6’6″ x 6’7″ (2.008m x 2.046m) matching white bathroom suite. Enclosed cistern WC. Pedestal wash hand basin with chrome mixer tap. Tiled surrounds. Bath with chrome mixer tap. Wall mounted chrome heated towel rail. Stainless steel ceiling mounted light fitting. Shaver socket. Vortice extractor fan. 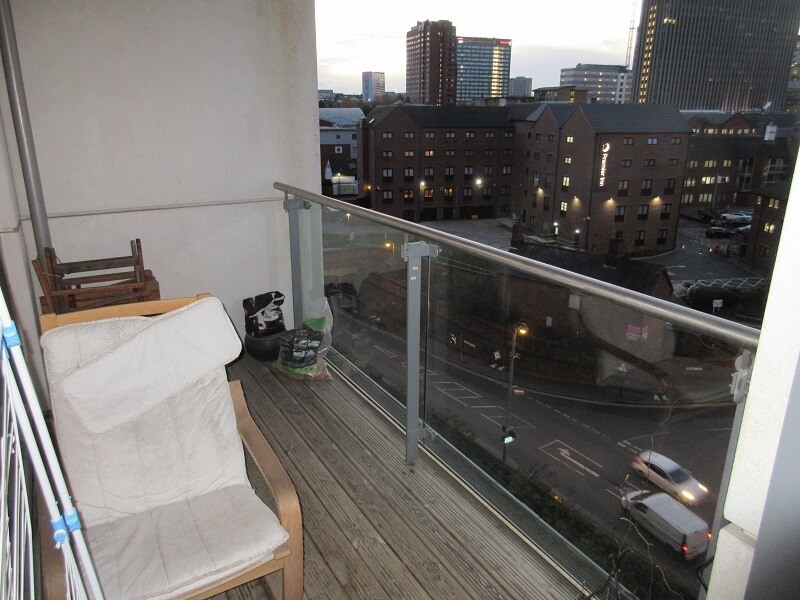 Balcony – Generously proportioned with City Views and aspect over Holiday Street. Service Charge: We are advised by the vendor that the current service charge is approx. £1,800 per annum. This information will need to be verified by a solicitor. Tenure: We are advised by the vendor that the lease term has Approximately 110 years remaining. This information will need to be verified by a solicitor. Ground Rent: We are advised by the vendor that the current service charge is approx. £200.00 per annum. This information will need to be verified by a solicitor.